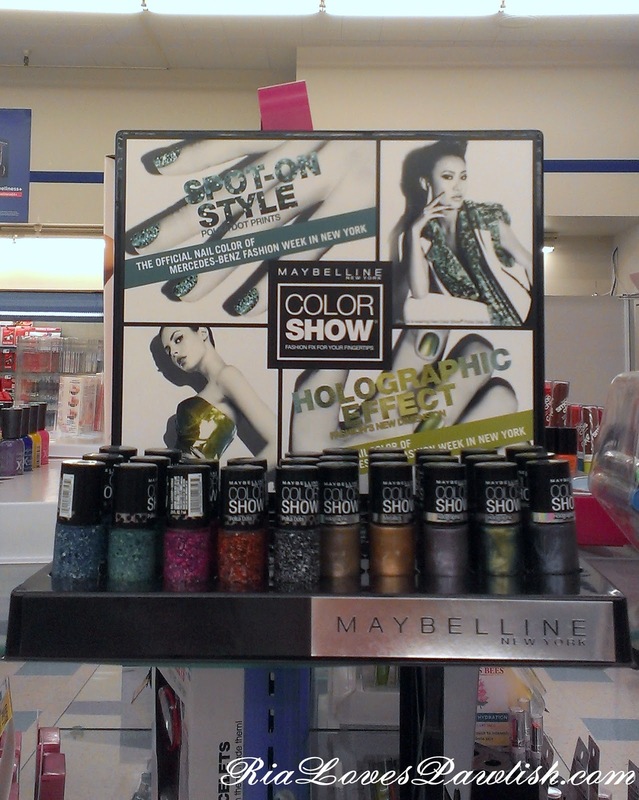 Ria Loves Pawlish: New Maybelline Collections Spotted at Rite Aid! i was in search of Mane and Tail shampoo (to use on myself... it was so amazing on Aramis i need some for my hair!) that appears to be sold out everywhere, which is why i wandered into Rite Aid. again, they were sold out of the shampoo, but they did have some new Maybelline Color Show collections i hadn't heard of! 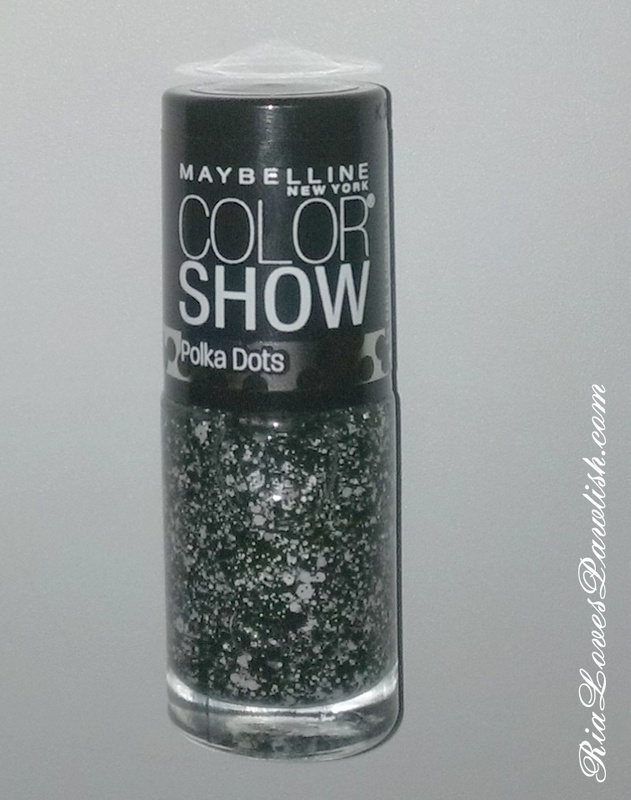 the collections are Polka Dots (which is sheer bases with black and white glitter) and Holographic. imagine how excited i was to see the word holographic! sadly, i researched the collections quickly on my phone, and it turns out that Holographics are actually just duochromes :( i hate a bait and switch! i was majorly bummed by the 'Holographic' polishes, i have duochromes like these already. i decided against most of the Polka Dots because of their sheerness, but i did pick up Clearly Spotted, which is black and white different sized glitters in a clear base! Be sure to get the polka dots. They're really cool. the holos are eh. i'll take another look at the Polka Dots if i see them again!